Comment You should remain shut up. Only thinking of yourself. Pathetic….. for you retirement age not going to be increase. MODI JI Kindly decrease retirement age to 55.One nation one demand for the sake of our nation. Comment In reply to Parbhat Baliyaan. Shut up you should take VRS now. Comment In reply to DR. P C Sikligar. 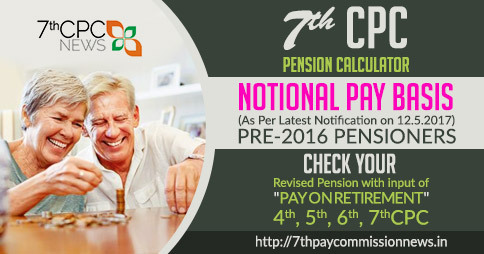 For that now NATIONAL PENSION SCHEME was started from the government employees appointed from 2004, (they will not get pension) CPF employees are got the contribution extra from the institution in full service, but those who are contribute GPF government wont contribute to their employees for them in full service for that is only they are getting as PENSION & D.R. Regarding interest rate reduced is for all. From the F.Y.2018-19 the TDS interest amount was increased to Rs.50,000- instead of Rs.10,000/- deducted as previous years for the Seniors & standard deduction of Rs.40,000/- was deducted for all the tax payers. Comment Kindly decrease the retirement age of central government employees to 55 years for the sake of so many unemployed youth in country. Modi ji we will support you in next election. Comment In reply to Shikha Joshi. Contact his ex-employer they will issue letter to join CGHS as per his last pay at the stage of subscription date and total amount to be paid. KV School application process through online only. The registration process for applying Class 1 is expected to start first week of March, 2019. You please watch the official website of KVS for more information. Comment In reply to M.K.Kumar. If you are completed qualifying of service of 20 years can avail VRS & take the encashment of balance of upto 300 days E.L. if having in account. After retirement you will encash balance of E.L. If you are applied proper channel and technical resignation your pay was product-ed with your service & basic pay as per the Pay Matrix Table in level 5 (GP 2800) to 4 (GP 2400) in stage after your old basic in table 4 of Rs.31,000/- next stage as Rs.31,400/-. If not technical resignation it Rs.25,500/- only. Please give any order or rule in respect of same. You already mentioned in completed 24 years of service on 7/3/2002 as your 2nd ACP. That is 2nd upgradrations in additional increments in service at your basic pay fixations as first Promotion as first ACP & Second ACP on completion of 24 years. You may have got 3rd MACP on completion of 30 years on the scheme started from 1/9/2008 date if you are in service. 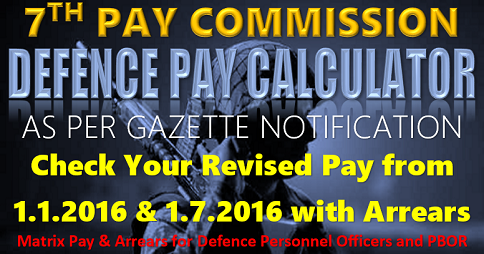 Comment .I am recruited in the pre revised pay scale of Rs. 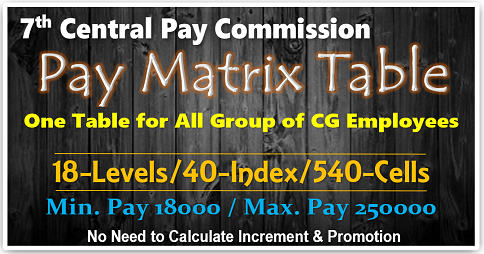 2550, has been promoted in the promotional hierarchy in the pre revised pay scale of Rs. 4000-6000.after redesignated from the isolated post of press operator to machinist skilled wef 12-02-1990 and completed 24yrs of service on 07-03-2002 .what would be the entitlement of my 2nd ACP? Comment .Your mother will get enhanced pension of ₹ 16500/- plus D.R. p.m. upto the attaining age of 67 of your father afterwards 60% of pension. as family pension. Comment .Till today as on 17/12/18 no action has been taken by the Ministry. I am really surprised to see this, as it was raised in the Loksabha & Minister of state had replied on this issue. Can anyone tell when we will get the benefit,when the regular staffs are getting the benefit Of 7th CPC. Comment Cast of dentures not resolved so far. When not resolved , projection again be not denied sir. Comment This is in connection with cast of dentures . The charges of both dentures is being lavied as Rs as high as Rs 18000. ( Eighteen thousand ) where as the rate for this is very low . Say only two thousand . In old age there arises need for dentures . This much differsce in cast needs consideration by authorities . Regards.. Comment .In reply to Narsimha Murthy. Your mother will get enhanced pension of ₹ 16500/- plus D.R. p.m. upto the attaining age of 67 of your father afterwards 60% of pension. as family pension. Comment Thanks for consolidated of 7th CPC news in one space and also thanks for my comments were approved. Comment Sir, my father retired and rectly dided in Karnataka state employ and he got last pension was total 33000+585/-,how much my mother will get family pension sir.. Newly launched products will not be immediately available through CSD. However, the item will be available in CSD stores after a minimum time period of three to four months. Comment In reply to 8882727888. It seems you have re-employed in other institution after volunteer retirement hence second commutation will also restored after completion of 15 years from the amount received if it is in 2007 it will recovered in 2022. Comment I want to know the period about the restoration of 2nd commutation of pension . I was allowed 2nd comutation in 2007. Comment I got voluntary retirement in 1992 after completion of 21 & half years of service. I also got my pension commuted at that time . 2nd computation was also allowed to me in 2007 ie after completion of 15 years of retirement. I want to know in which year this commutation will be restored ? Comment In reply to m s thube. 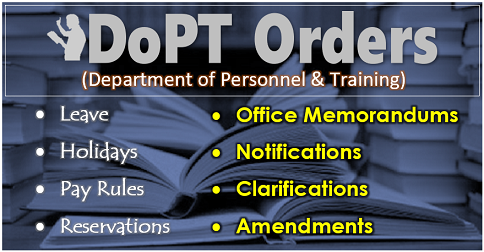 Comment Those completing six month or more period of duty/service on a given stage under 6thCPC before 30th june are also eligible for increment on 1st July.Under6CPC employees retired on 30th June may fall into two categories-those who got their last increments exactly one year back but retired on 30th June. Second category include those retirees who got promotion to higher post between 2nd July and 31st December and have thus completed 6 or more months making them eligible for next increment on 1st July immediately following the date of their retirement on 30June,the preceding day. Further it added that under FR26(a) all duty on time scale counts for increment in that time scale. Since Fundamental Rules are framed under article 309 of the Indian Constitution, no authority in administration can deny the benefit of his/her duty as government whether it is given to employees on actual basis or to retirees of 30th June on notional basis. This is the position of FR26 since 1967.Unfortunately under government the date of increments remained changing in the past The peculiar case came only when under 6thCPC a uniform date of increments is fixed as July 1st.The position of qualifying Duty/service under FR 26 for increment rendered by retirees of 30thJune deserves favourable clarification for grant of increment on July 1st. Government must come forward with speaking decision as to how it intends to give the reward of services rendered to government. It is done for the employees who are continuing in service but how can a government forfeit the benefit of FR26 framed under article 309 of the Indian constitution the retirees of June30th. Comment When does the newly added and updated list of 4 wheeler publish through csd? Comment District Palwal is covered under which cghs dispensary. Comment Dear Sir, Will there be a Gazette Notification in such a case where an officer has been promoted on ad-hoc basis to a gazetted post. Can you pl. clarify the position? Comment I’m retired from AMC in the rank of Sub (ACP-1) Group Y with 28 years service on 31 Mar 2016 with BP-15960, GP- 4800 & MSP-2000. My Pension was fixed as per 6th CPC BP Rs 12285/- as per PCDA (P) circular 501 do 17 Jan 2013 and DP Rs 4097/- for 60% for life. On implementation of 7th CPC it has now fixed BP Rs 29400/- & DP Rs 10584/-. Is it OK? Comment After expiry of 180 days at what rate HRA will be paid(contemporary city or the last place of posting) in case of HRA during study leave. Comment What will be the Net salary for Level 22 (56100-177500) ? Comment Sir I got promotion of ASO in February 2011 and there is no quota for direct recruitment in our cadre. So am I eligible for 13860 or 12540? Comment I am central govt employee, working in Belgaum(Karnataka) but my family is staying in Bangalore, I want know that I can claim Bangalore HRA. Pl intimate. Comment I have completed 30 yrs as CMO,NFSG,what are all the benefits and pension that I can avail if I take VRS now. Comment In reply to Saiju. 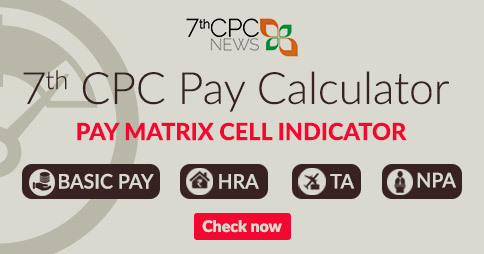 What about next MACP/ if any Promotions, Grade Pay in 6 the CPC ? Whether retirement last basic pay ? Comment In reply to Appa Rao Vissa. 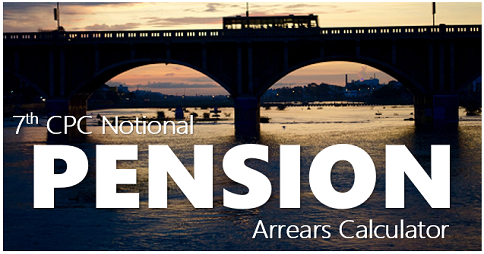 Pension as on 1/1/16 it should be rounded off to ten only, so it is wrong. 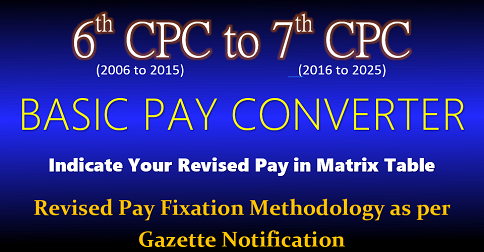 Mention your last basic pay & scale of pay of 5th CPC at the time of Retirement. Cast of dentures not resolved so far. Good view. We can read all comments in one page.